Recently, Ward 5 Alderman Joni Painter proposed that the current moratorium on adding any new video gambling machines in Bloomington to be extended indefinitely. Other council members want further deliberation before deciding whether to embrace Painter’s suggestion, as well as a proposal made by City Manager Tim Gleason. The suggestions involve levying a fee for video gambling machines. If a $500 fee on each of the 250 gambling machines could generate as many as $125,000 in revenue every year. 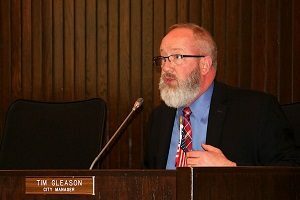 The city could use the funds to build multiyear capital improvements projects such as streets, infrastructure, downtown economic development, or replacement of O’Neil Park’s pool, according to Gleason. He also stated that the fee amount was only a suggestion and not an amount he was recommending. The moratorium was scheduled to expire March 1. The council recently agreed at a work session to vote in a week on whether to extend the moratorium to the April 8 meeting. The short-term extension would give the council a chance to discuss the issue at the March 11 or March 18 meeting. 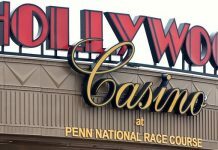 Locally, gamblers spent $62.9 million playing video gambling machines and winning $47 million back in 2018. 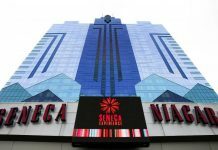 This is an increase from the $60.8 million wagered and $45.8 million earned in 2017, according to data collected by the Illinois Gaming Board. Local gambling venues and gambling machine vendors then divide the profits 50-50 after taxes. 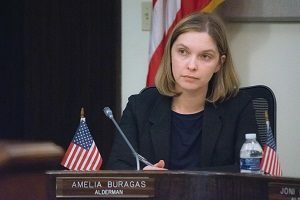 Ward 4 Alderman Amelia Buragas stated that she would like to talk about other options like making video gambling subject to zoning that is more restrictive. Buragas also wants to set a cap on the number of video gambling machines allowed in the city or impose higher fees to take away the incentive of playing the machines. Several other Illinois cities, including Normal, gain additional revenue by imposing a fee for every video gambling machine. Bloomington does not currently charge this fee. However, last year and in 2016, the nine council members in Bloomington expressed no interest in levying a video gambling machine fee. Bloomington was on the Illinois Gaming Board list of top 10 video gambling cities in 2015, 2016, and 2017. The 2018 roster will not be available until after the Illinois State Board submits its annual report to the governor’s office. The report was due March 1. Gleason also recommended that the council consider increasing Bloomington’s fuel tax. Currently, the fee is at 4 cents a gallon of gasoline. Gleason proposed that this would produce another stream of revenue to fund multiyear capital projects. Changing the fuel tax from 4 cents to 8 cents would generate $2.3 million per year. Gleason stated that the funds could be dedicated to road repairs. Currently, Bloomington is committing $2.4 million each year from motor fuel taxes and $2.4 million from local sales taxes for sidewalk and street improvements.